I was at Popular Bookstore just the other day to browse when my jaw dropped when I saw this. 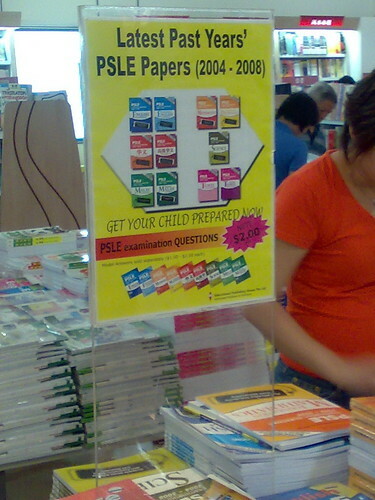 Ok, technically speaking, it's only 5 years' worth of past papers but PSLE!!!!???? Are we getting overboard with our kids' academic pursuit? Why can't we just leave them alone and let them grow up with a happy childhood?